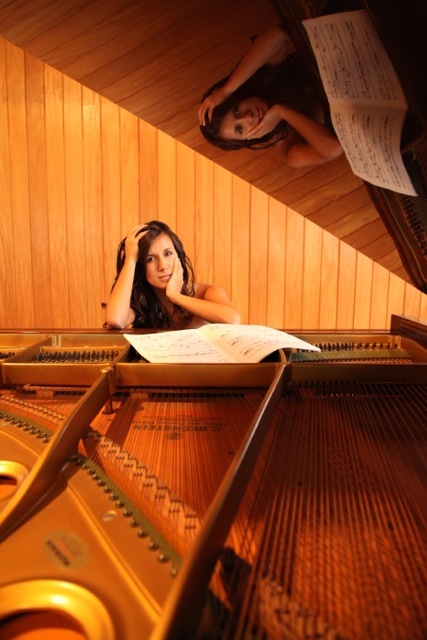 Sara Illana, Asturias, studied both piano and flute bachelor at the Oviedo Conservatory and Hochschule für Musik Köln, Germany. Later, she specialised on chamber music and accompaniment with Yasuko Takahashi (Gent). She has worked as an accompanist at the Simón Bolivar National Trombone and Trumpet Academies from 2012 to 2014, where she also studies harpsichord and historical interpretation. She has participated as pianist at the Scottish International Flute Summer School, Vitoria International Music Festival, Cuenca Brass and the Spanish Flute Convention Seville 2014. Sara colaborates at the Sistema Spain foundation in Madrid.